We want you to be delighted with Astrogloves and we only want to sell gloves that are going to be a good fit. Astrogloves are available in three sizes - Small, Medium and Large. 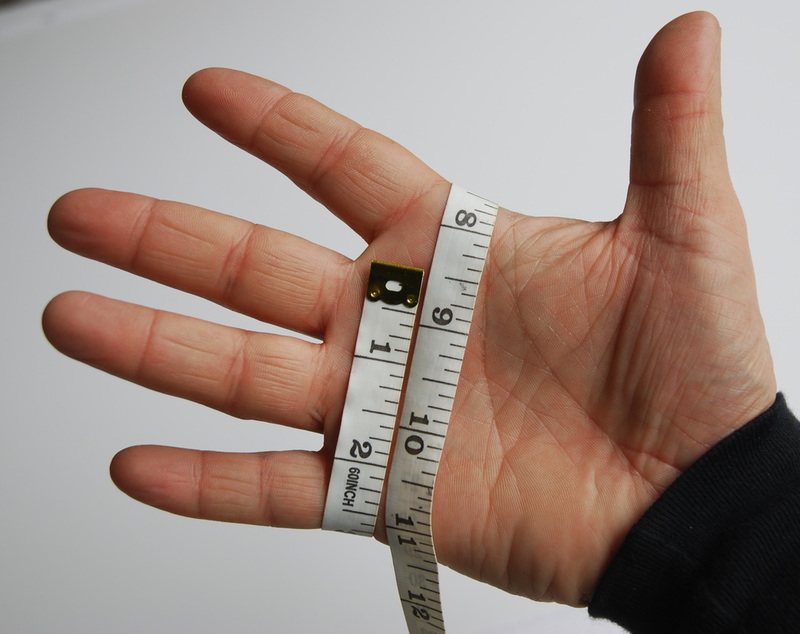 If you want to check your glove size, you will need a tape measure. 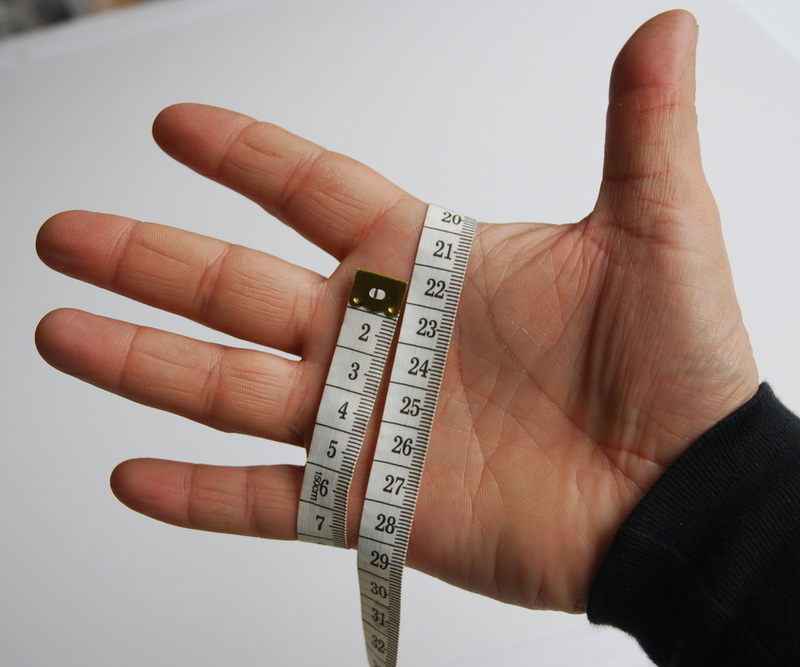 Run the tape measure around the palm of your writing hand so that the tape is just below the knuckles and read off the measurement. We offer a no-quibble returns policy, so if you are not satisfied with the fit, return the gloves to us unused within 60 days and we will make a full refund.